Google’s Pixel: What makes the product stand out? Google's Pixel: What makes the product stand out? Google's Pixel, as the tech giant describes it, is the first phone made by Google 'inside and out'. 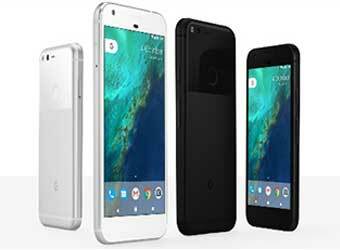 The two phones—Google Pixel and Google Pixel XL— launched last night will now be available in India starting at Rs 57,000, with pre-orders beginning from 13 October. Until the launch of Pixel, Google had the Nexus series of phones, which was rolled out in 2010 in partnerships with LG, Huwaei, HTC, and Motorola. Post 2010, Google has just been focusing on the design, development, marketing, and support of Nexus devices, while the manufacturing was done by original device manufacturers (OEM). With the Pixel smartphones, Google has now, finally taken full control of its hardware. "The idea was to show everyone how it should be done. All the partners in the phone manufacturing space took it and built great products on top of it. Meanwhile, Nexus, kind off trundled along at the same small scale," Brian Rakowski, VP of product management for Android told Verge. With Google having complete ownership of its newly-launched Pixel, what are the features that stand out? Read on to find out. The Pixel smartphones are the first devices that come with built-in Google Assistant. A direct competitor to iPhone's Siri, the Assistant allows users to converse with Google directly. It was first unveiled in the annual I/O developer conference in May 2016. "Ask it for a brief update on your day or to play a video on YouTube. Look up traffic on the way home from work or when the nearest pharmacy closes. You can even say "show me my camping photos with Andrew" and it'll instantly display the photos you're looking for," said Google in its official blog. Google claims that the Pixel cameras are the highest-rated smartphone cameras anyone has ever made. DxOMark, a website providing image quality ratings for standalone cameras, lenses, and mobile devices that include cameras, scored the Pixel camera at 89. It has given iPhone 7's camera an 86, which makes Google Pixel, the top rated device. The Pixel comes with a 12.3MP camera, featuring an f/2.0 aperture and big 1.55 micron pixels. "Simply put, the Pixel raises the bar for what is possible with a smartphone camera. Image quality continues to improve, and the increased use of HDR+ to render scenes that have previously been difficult for small sensors such as those in smartphones broadens what is possible with these ubiquitous devices," said, DxOMark in a full review of the Pixel camera. All the Pixel owners will be able to store their high resolution videos and photos for free on cloud. Google already has Google Photos, but it only saves the photo in 'high quality' and not the original resolution. "And as a special bonus for Pixel owners, we're including free unlimited storage for original quality photos and videos at full resolution in Google Photos," Google said in the blog post. The Google Pixel will eliminate the need for external storage when shooting 4K videos from the device as all the media will be stored in the cloud automatically. Google's Pixel smartphones will also be the first handsets to support Daydream, the virtual reality platform developed by Google. "We love virtual reality. Unlike any other technology or screen, VR can make you feel like you're somewhere else. Without a ticket, you can get front row seats at Coachella and visit a world-renowned museum to see extinct animals come back to life," said the company. Google also announced Daydream view, Google's first Daydream-ready headset and controller at the launch of the Pixel phones. Google Pixel users now won't need to skip work to take their phones to the service centers. The users just need to open the settings app and tap the support button. The users can either chat or call the customer support. The big question, will it sell? With all the built-in features and Android 7.1 Nougat OS the phone catches everyone's attention but the steep pricing is what concerns many. With a price tag starting at Rs 57,000 the phone will have stiff competition with iPhone 7, Samsung 7 Edge and other flagship devices in the premium segment. Vishal Tripathi, research director at research firm Gartner feels that Google has priced the phone a bit high looking at the Indian audience. "For cost sensitive markets like India Pixel phones prices appear steep. These pixel phones have been designed to optimise the Google Assistant experience and to provide an alternative to Apple's iPhone," he said while speaking to Techcircle. According to a report by Strategy Analytics, Apple's market share in India fell to 2.4% from 4.5% during the second quarter of 2016 as compared to the same time last year, which gives Google an edge and opportunity to expand its user base in India. The next few months will be interesting as Apple and Google will battle it out with their premium products iPhone 7 and Pixel respectively. Who will win the race? Only time will tell.